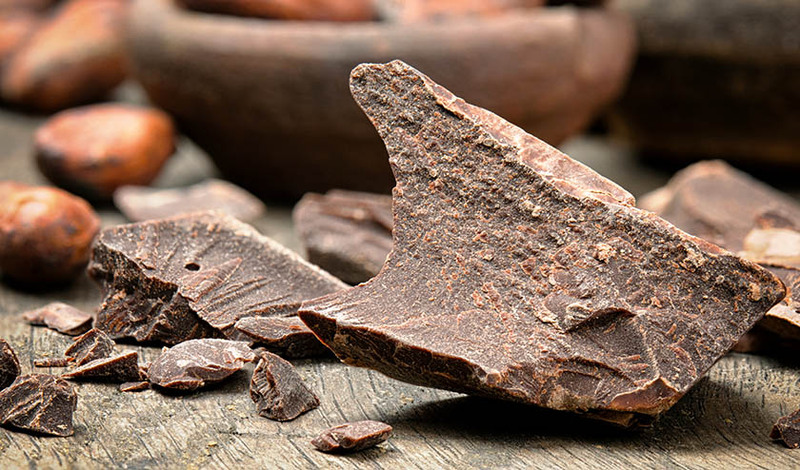 Chocolate is clearly one of the most enjoyed foods on the planet, with millions of pounds produced annually, and has one of the oldest documented histories of use going all the way back to the year 1100 BC in South America. And yet, many people still harbor guilt about consuming it because they associate chocolate with "candy" (which logically follows from the fact that it is in the candy section in stores where you will find it), having never been exposed to the impressive body of pre-clinical and clinical research indicating that it may actually be closer to a "medicine" than a candy. Indeed, in a previous post, we discussed how chocolate might just give the $29 billion dollar statin drug industry a run for its money, since a 2006 study found that regular chocolate consumption may reduce cardiac mortality by 50%. And this was based on a study where subjects only consumed 2.11 grams a day, or just one half ounce a week! Now, newer research from the American Journal of Clinical Nutrition has revealed that the consumption of chocolate, or its active constituents (cocoa, flavan-3-ols), reduces a broad range of risk factors for cardiovascular disease, some of which include insulin resistance. The researchers looked at 42 acute and long-term studies and found a 33% median reduction in insulin resistance following chocolate consumption. What is so unique about this new study is that chocolate consumption is generally believed to elevate blood sugar and blood insulin levels by increasing insulin resistance. The new study not only reveals this as being a myth but sheds additional light on why chocolate consumption (especially dark, organic chocolate) may be beneficial in both the prevention and treatment of type 1 diabetes and type 2 diabetes. The #1 benefit involved is cocoa/chocolate's well-known ability to improve endothelial dysfunction. Elevated blood sugar leads to glycation (basically, oxidation and caramelization of blood sugars), which leads to sticky sugar-protein and sugar-lipid complexes that damage the lining of the blood vessels and other organs leading to their dysfunction. Diabetics may respond quite well to the artery-dilating effects of cocoa, and may see a reduction in morbidity and mortality as a result. This comes in the wake of over a decade worth of research revealing that chocolate and/or cocoa has been shown to lower blood pressure, prevents or ameliorates endothelial dysfunction (a primary contributor to atherosclerosis), protects against coronary artery disease, reduces stroke risk, prevents cholesterol oxidation (which converts healthy lipoproteins into artery-damaging ones), to name only 5 of 40+ potential health benefits associated with its regular consumption. To view the entire gamut of potential health benefits associated with consuming chocolate or cocoa-containing foods, visit our page dedicated to the topic which lists over 40 health benefits here: Chocolate Health Benefits. Any serious discussion on the medicinal properties of chocolate should be qualified by pointing out that chocolate is often unfairly traded, and has even been linked to child enslavement. Non-organic cocoa may also contain residues of the dangerous herbicide glyphosate (the active ingredient in Roundup), among many other biocides used in conventional farming, so the consumer must take special care to avoid these moral and physiological pitfalls. Also, many seemingly independent brands such as Dagoba or Green & Black have been bought up by super-corporations such as Hershey's and Cadbury, respectively. This means that while you think you may be eating the highest quality chocolate, it may actually be connected to less than ideal sourcing and/or trade practices. In other words, do your homework first please. Also, because chocolate has complex pharmacologically active properties, it must be consumed in moderation, and with attention paid towards the tendency for using it to self-medicate, especially when the cocoa content is lower and the sugar content higher.